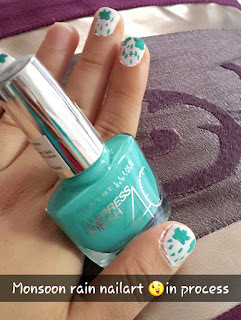 So with Monsoon on full Swing and Raining whole day you want to be in the comfort of your room..Sipping in some Hot cocoa or Green Tea and trying to chill by your own! 1) Firstly Take a White Nail Paint for your base so that you have a bright CANVAS for your ART. 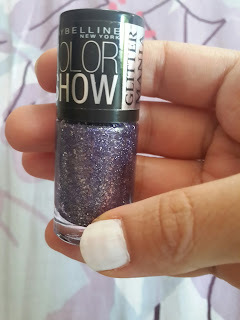 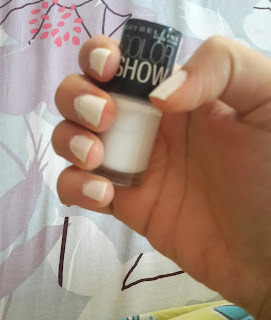 I took MAYBELLINE's Color SHOW Porcelain Party. 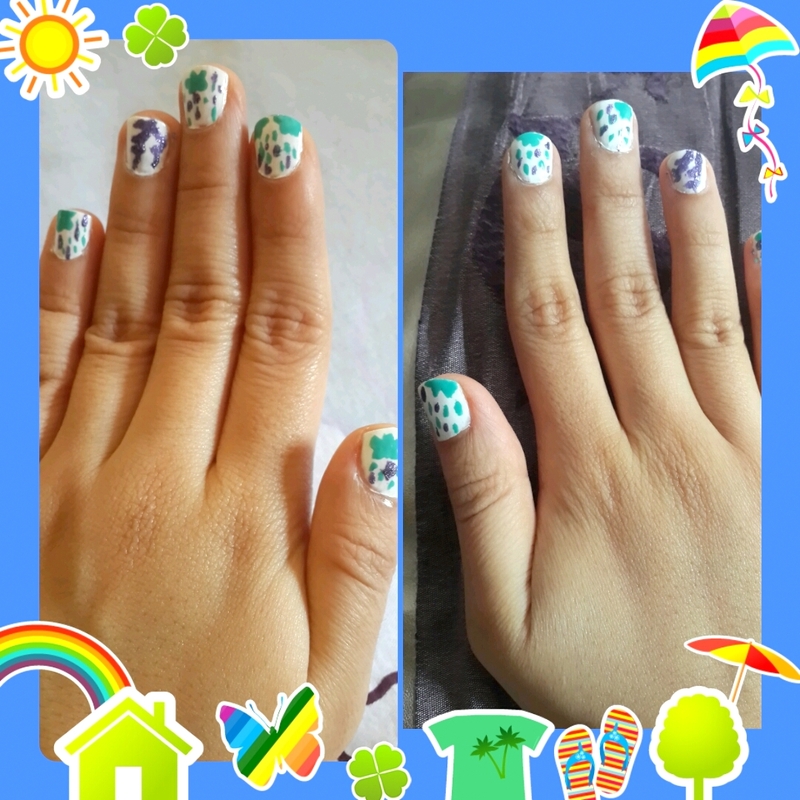 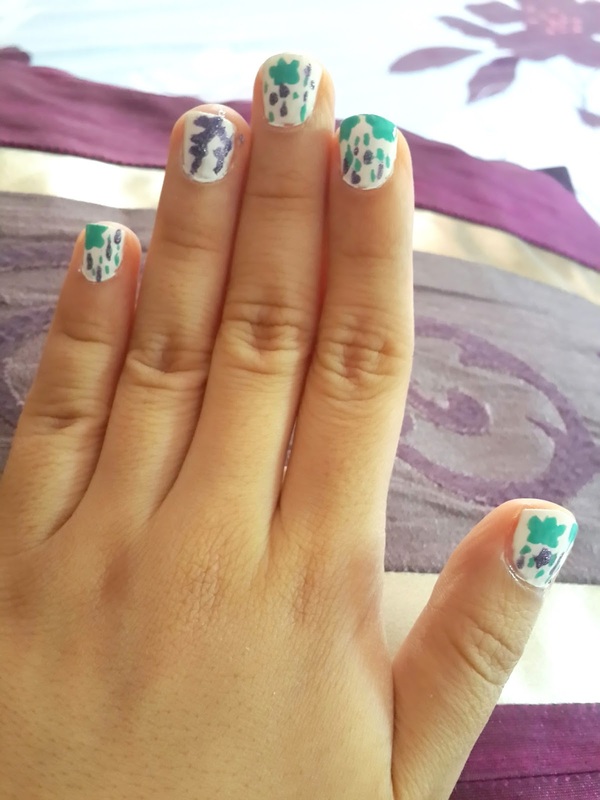 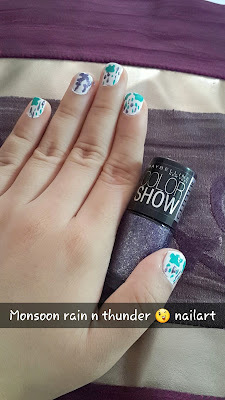 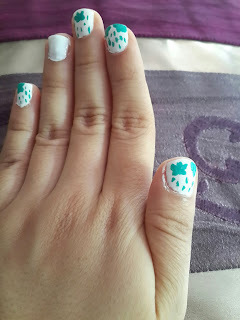 2) Then after this coat dries.. Go ahead With a Turquoise or Teal coloured Nail Paint to Draw the CLOUDS and RAINDROPS :) I took Maybelline Express finish's Turquoise Lagoon.